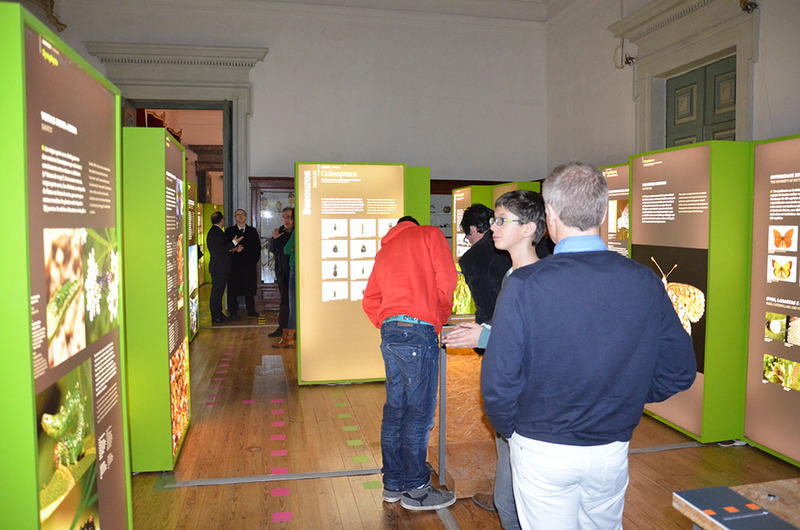 This exhibition creates a unique relationship with its visitors. 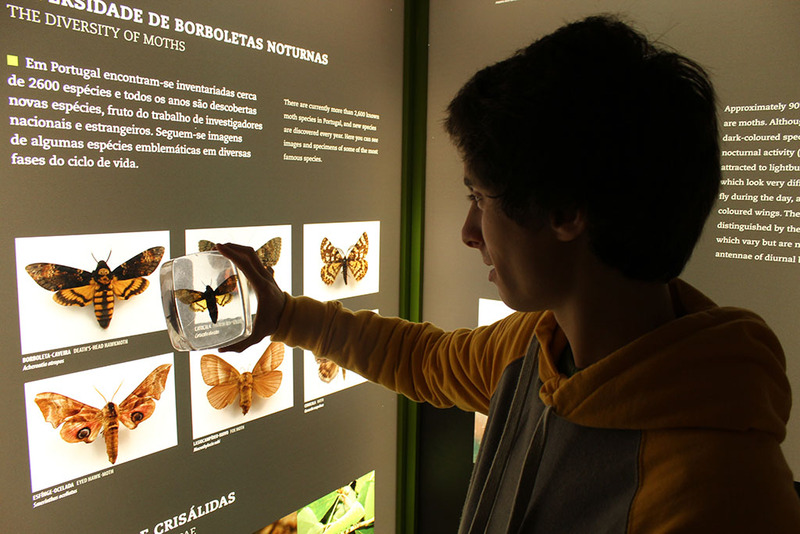 Instead of simply displaying scientific information, the exhibition leads the visitors through the experience of biological identification. Each person receives, at the entrance, a real insect specimen preserved in resin. 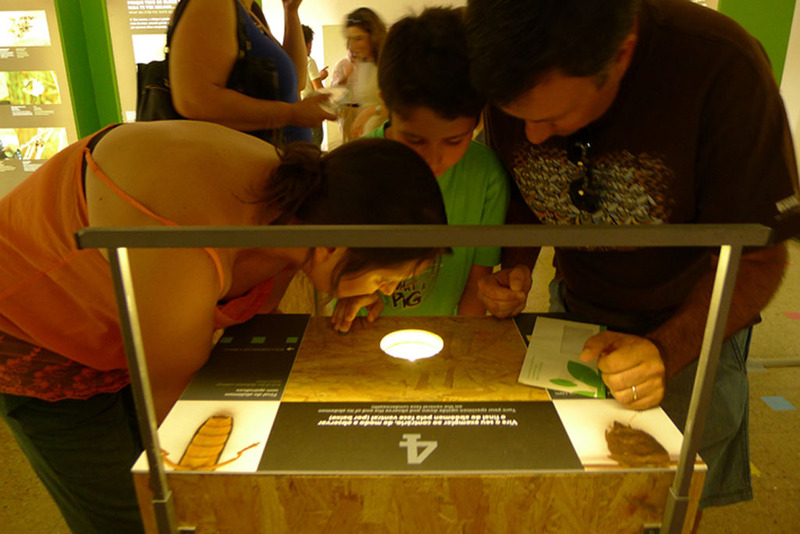 Then, the visitor has to look carefully at the morphology of the insect so that he/she can decide which way to follow on the dichotomous key drawn in space. 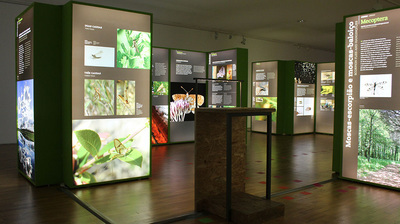 In the end of each path the visitors can find the order to which the insect of their choice belongs. 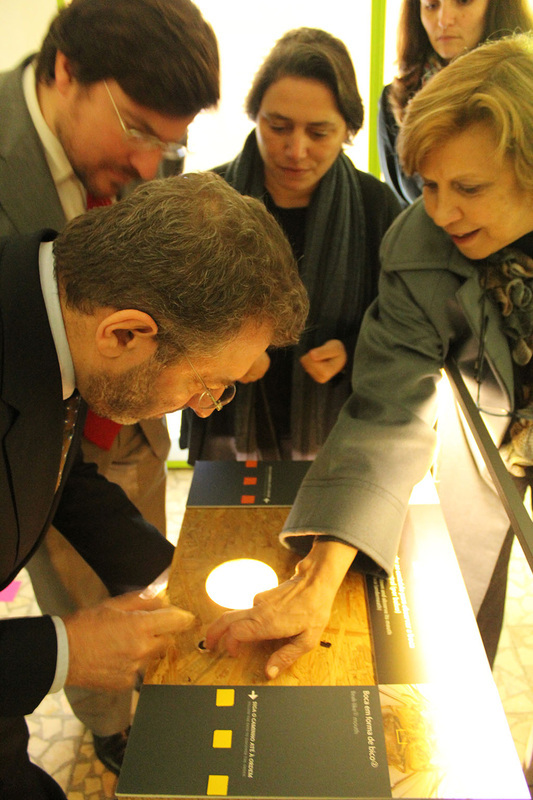 Thus, in a recreational way, almost like if they were playing a game, the visitors experience the scientific method. 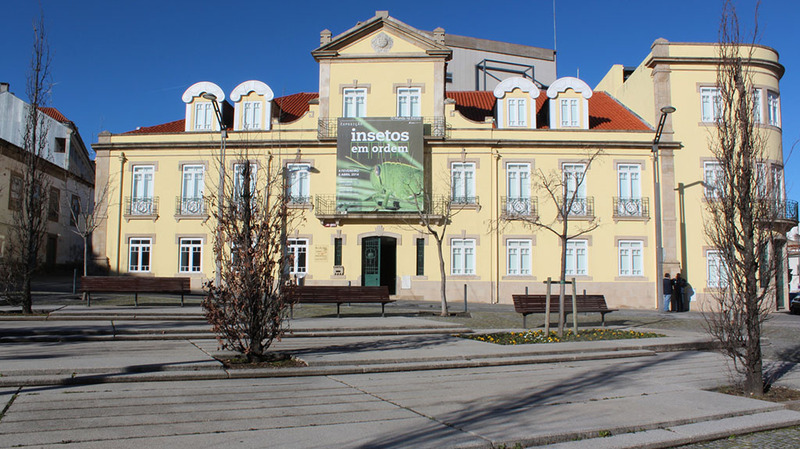 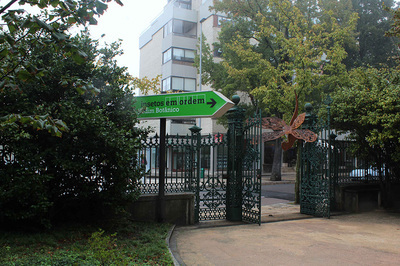 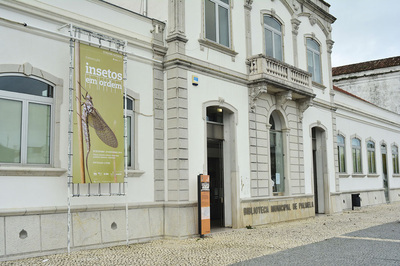 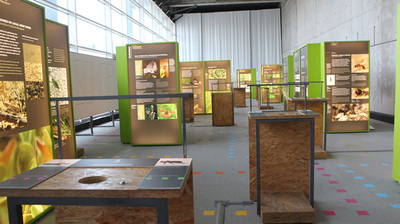 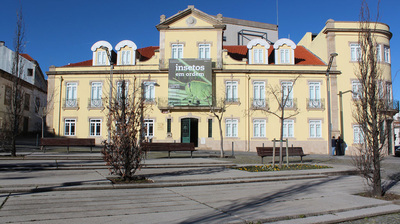 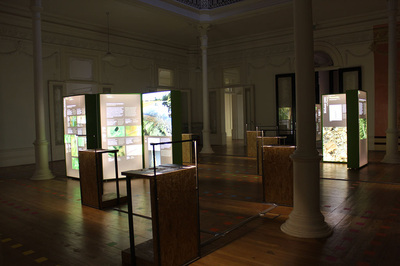 The original version of the exhibition opened to the public in 28th May 2010, on the National Museum of Natural History and Science (MUHNAC), in Lisbon. 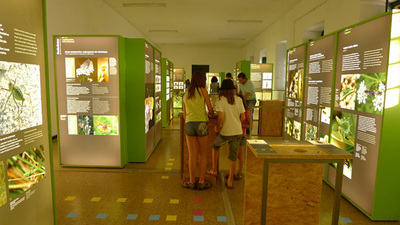 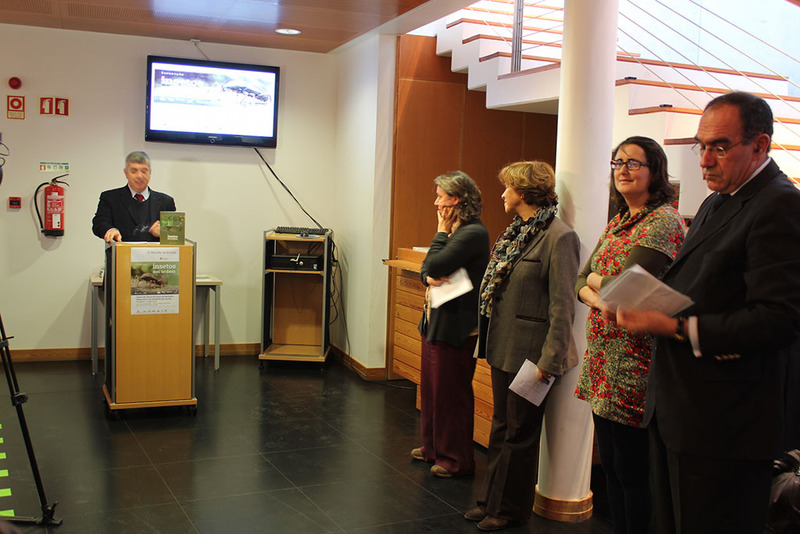 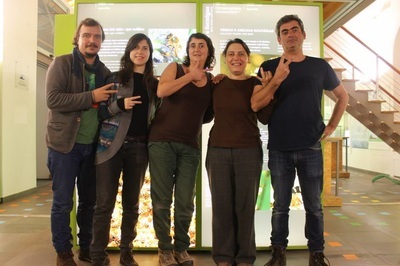 It was part of the program of celebrations of the International Year of Biodiversity (Bioeventos 2010), carried out by the MUHNAC and the Center for Ecology, Evolution and Environmental Changes (cE3c). 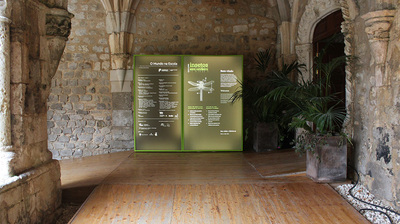 The innovative exhibition concept was internationally recognized. 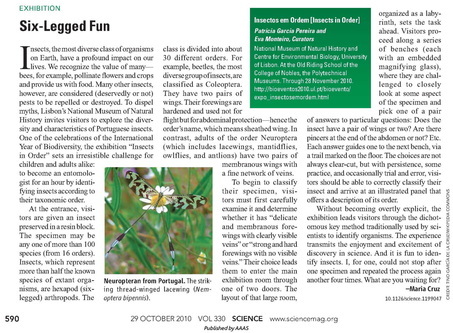 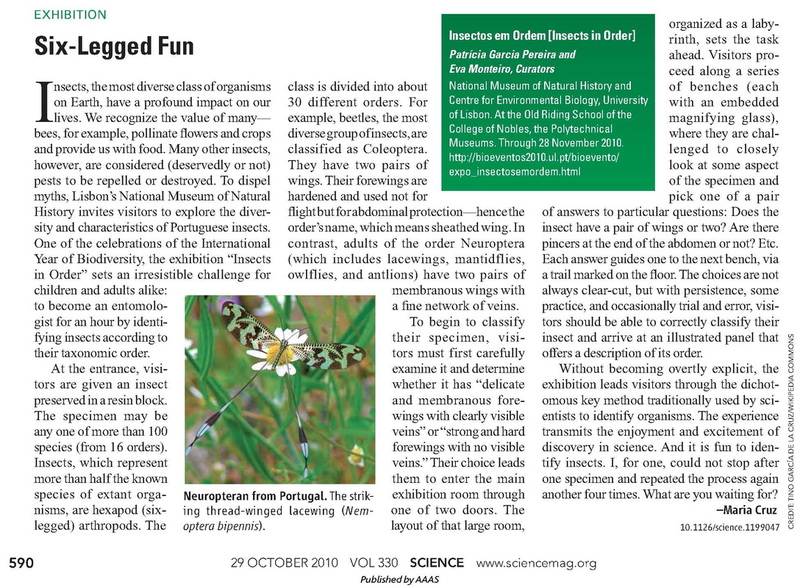 For the first time, a scientific exhibition developed and produced in Portugal received a review on the prestigious scientific journal “Science”. 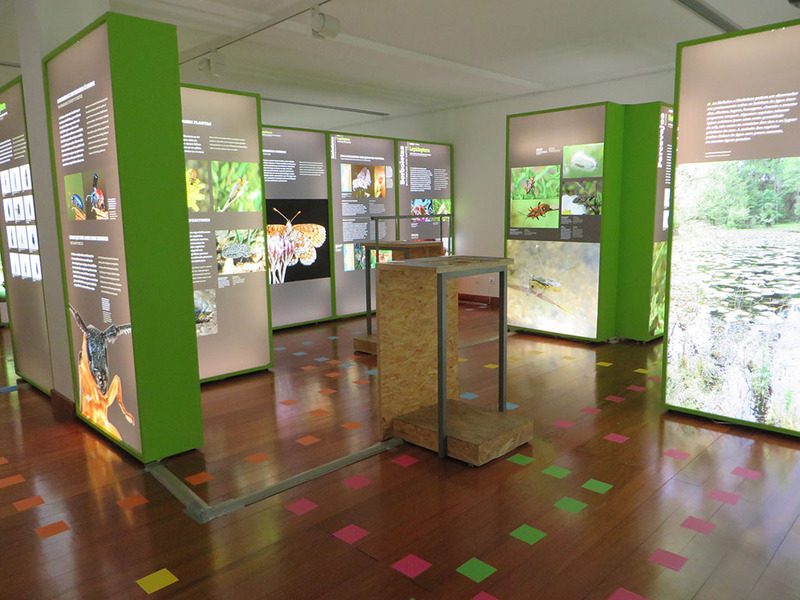 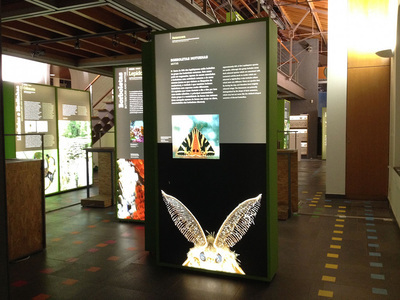 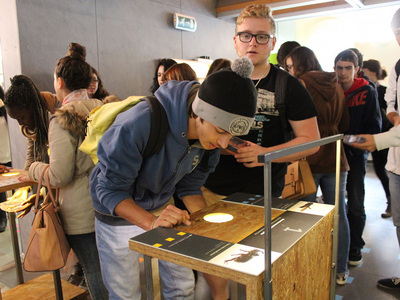 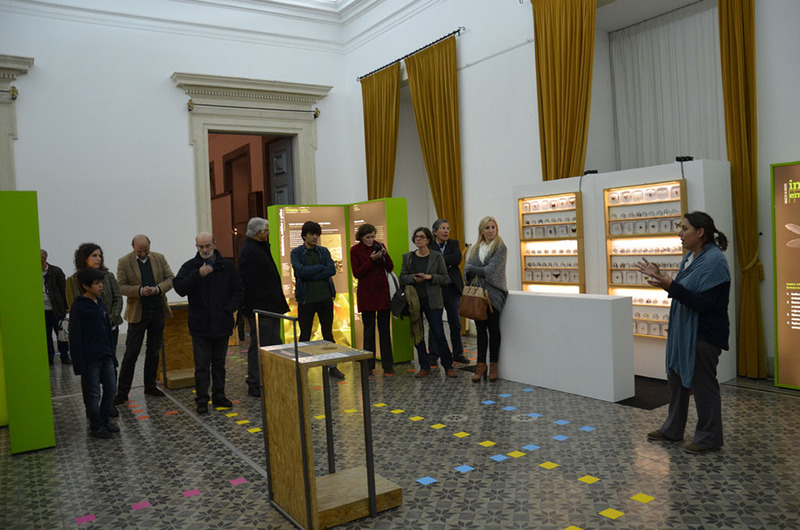 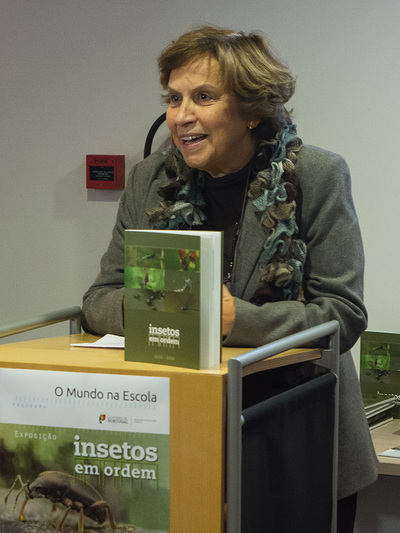 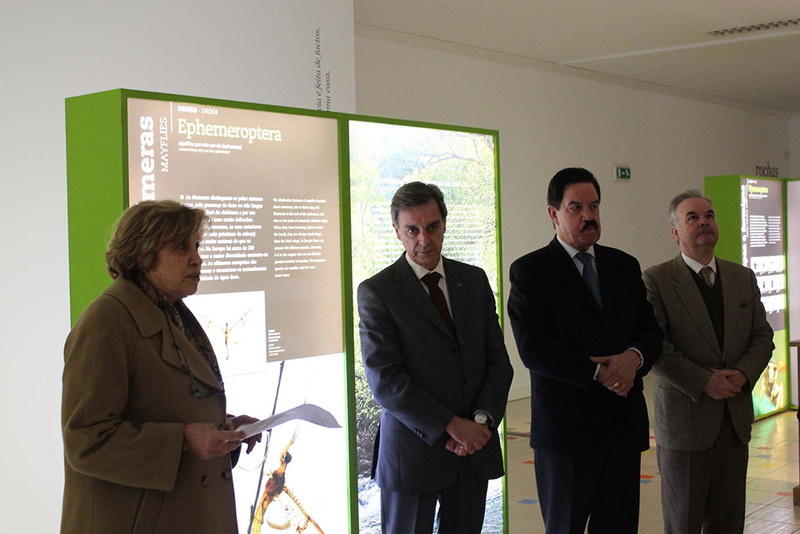 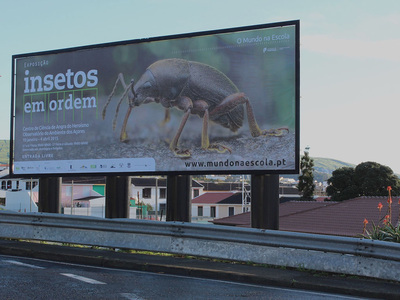 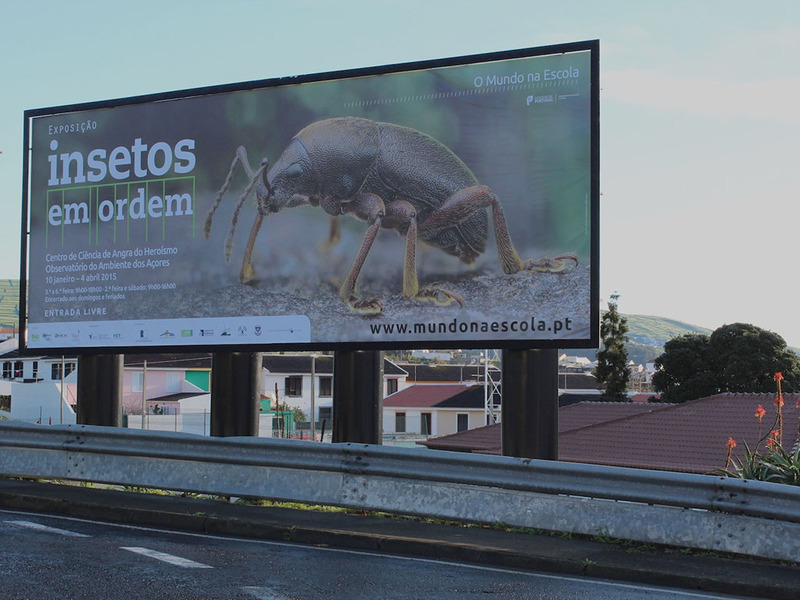 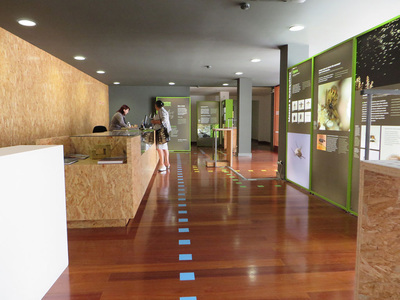 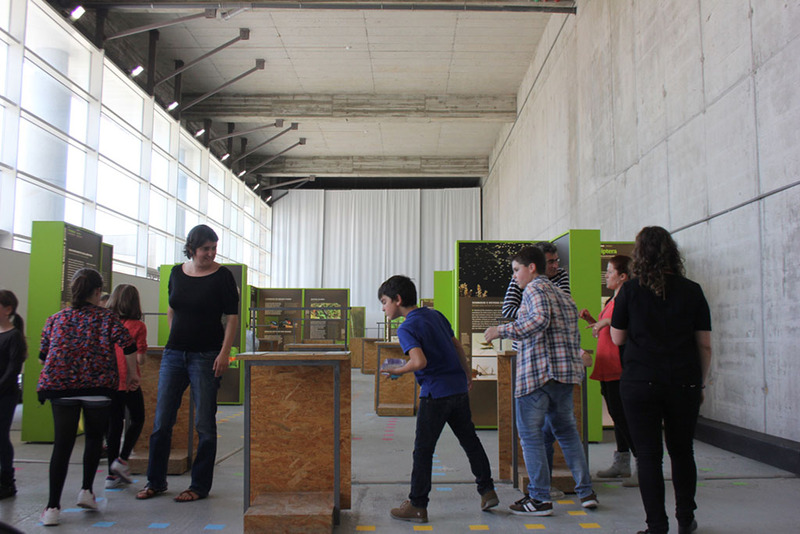 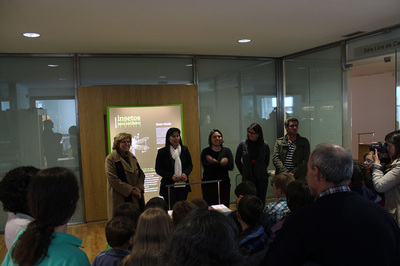 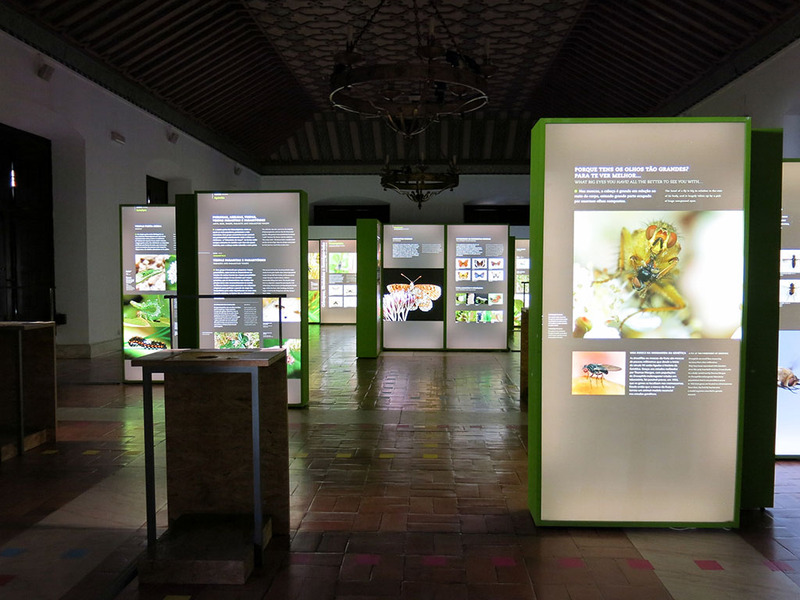 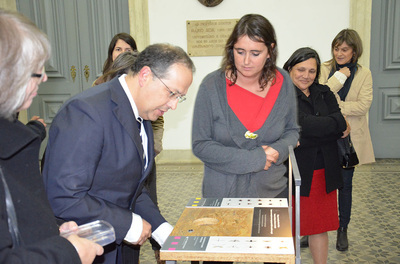 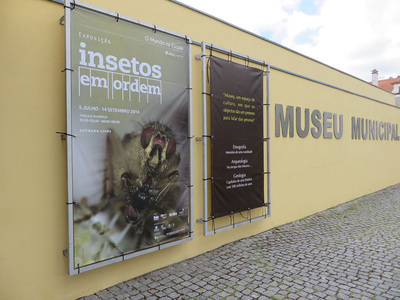 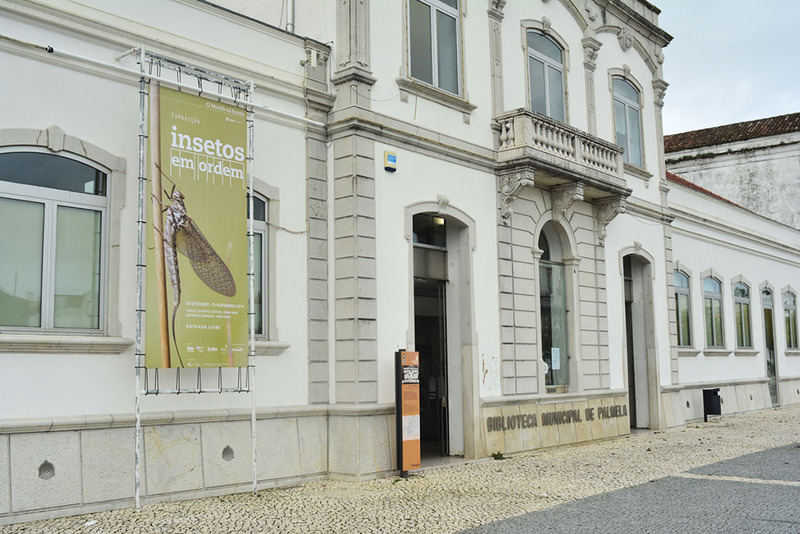 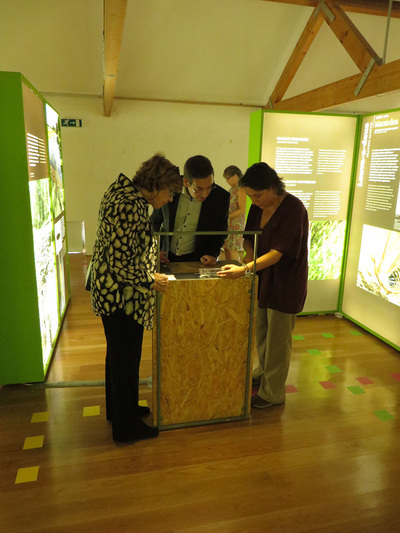 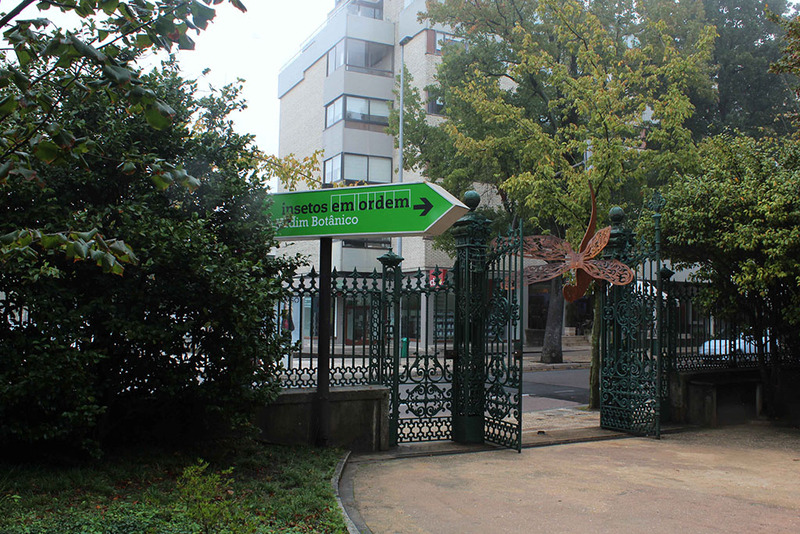 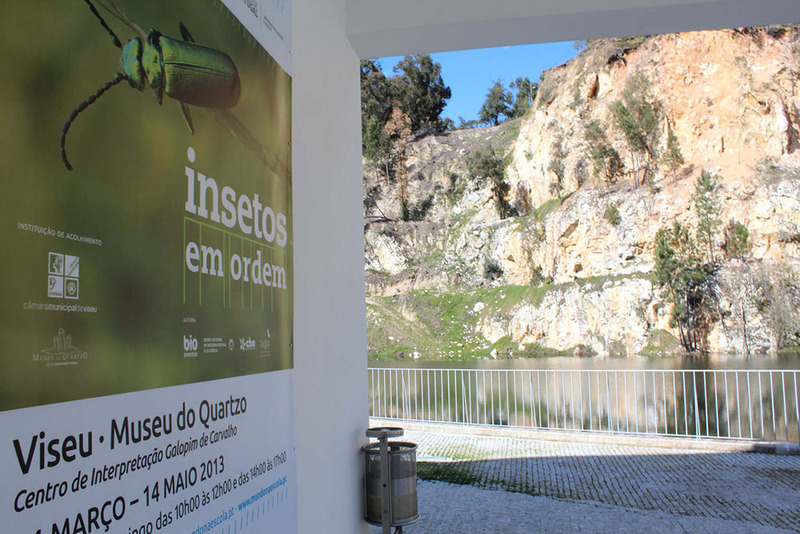 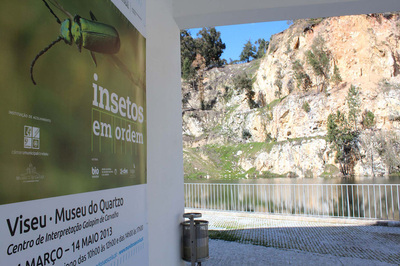 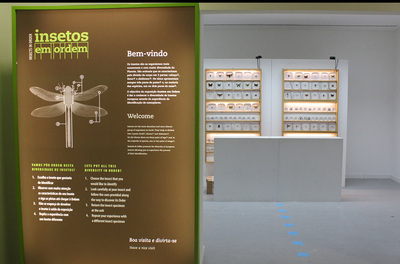 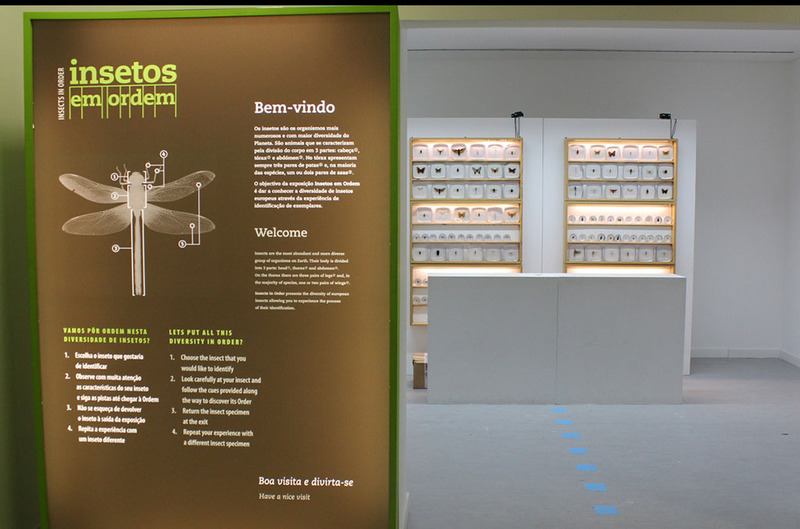 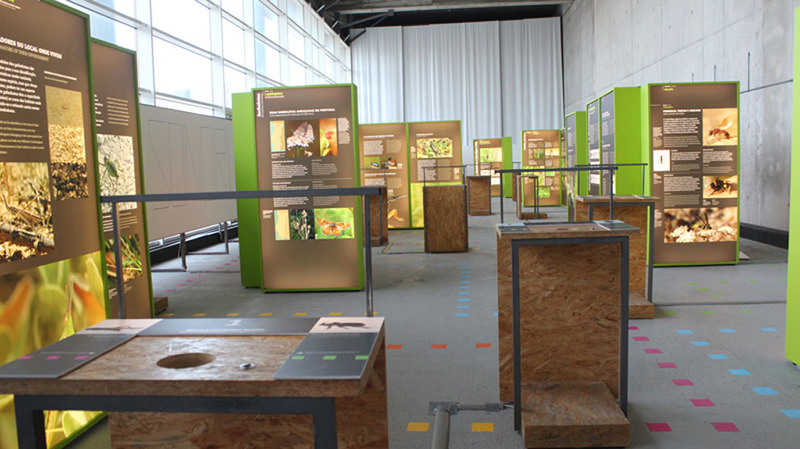 The exhibition “Insects in Order” was one of the initiatives selected by the Ministry of Education and Science to integrate the program “O Mundo na Escola”, which aims to bring science closer to the school community. The initial exhibition was thus adapted to travel throughout the country. 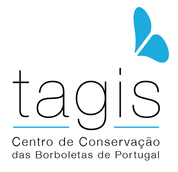 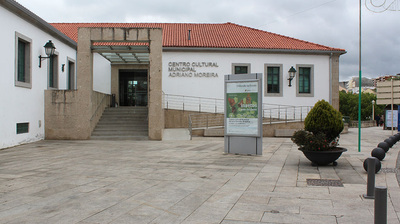 The voyage started in Porto, in October 2012, and between 2012 and 2014 it passed through the cities of Santarém, Viseu, Bragança, Tavira, Évora, Coimbra, Castelo Branco, Viana do Castelo, Arouca and Palmela. Since January 2015 the exhibition has been on the Azores Islands, on the Cities of Angra do Heroísmo, in Terceira Island, and Lagoa, in S. Miguel Island. 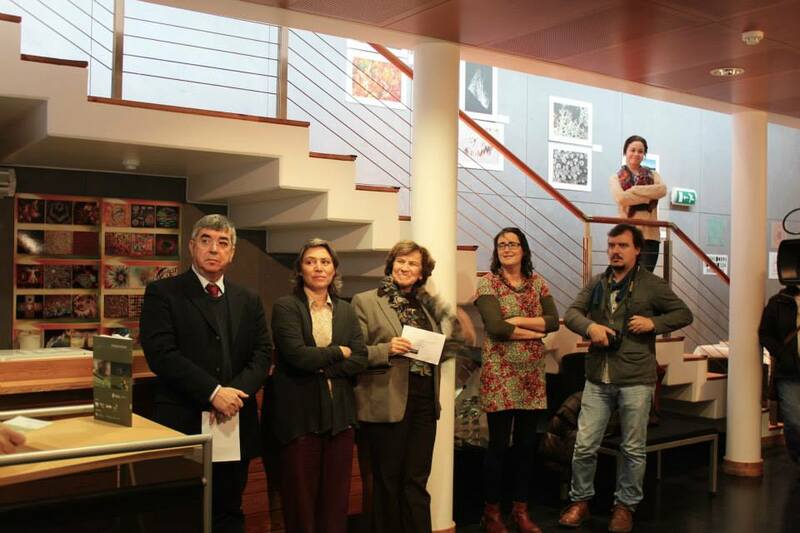 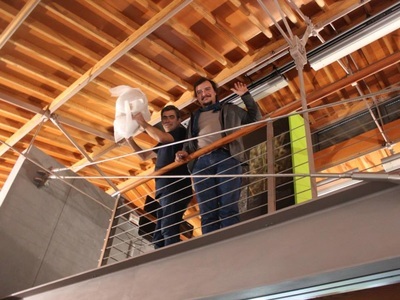 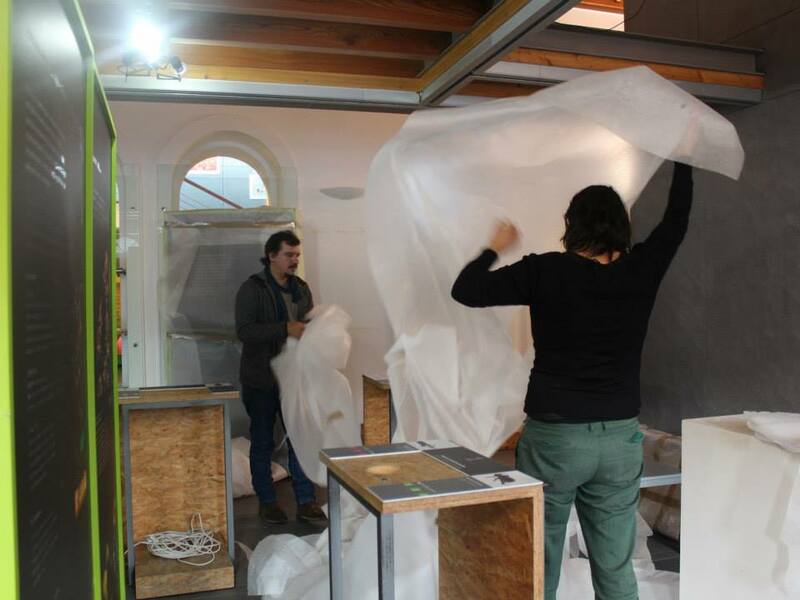 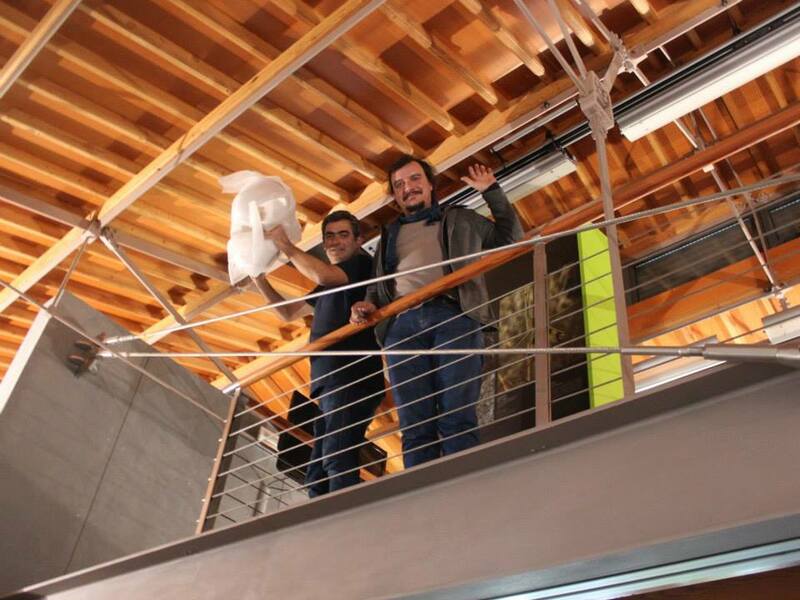 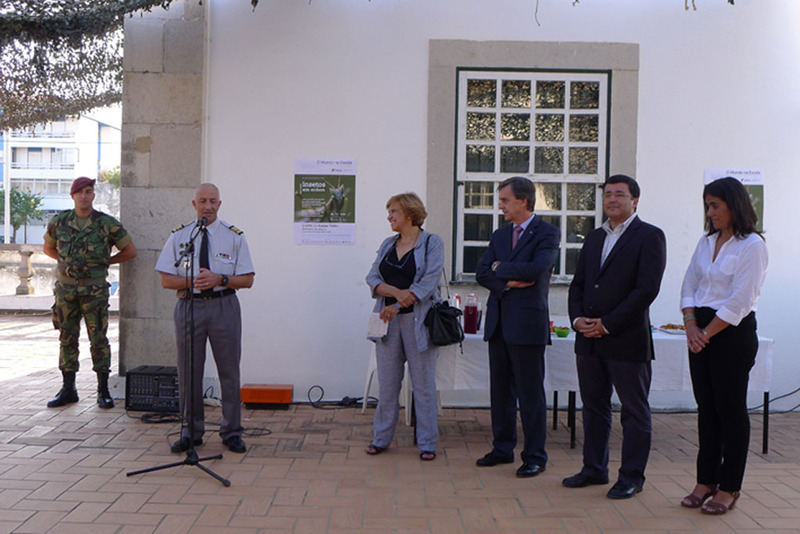 Up to Arouca, the exhibition was in display for 580 days, in a medium of 2 months per city. 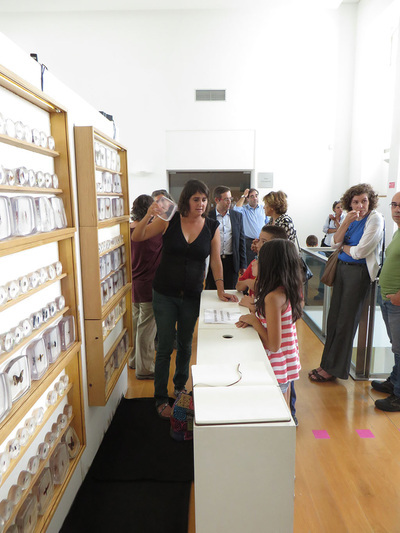 We had a total of 42 313 visitors, 42% of which were school groups. 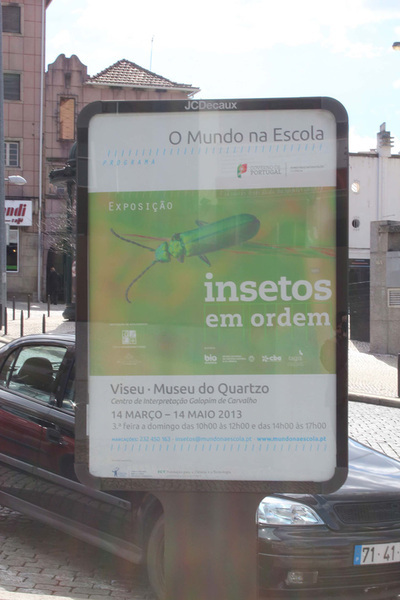 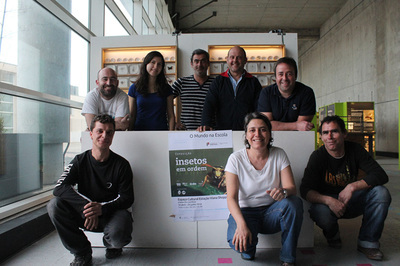 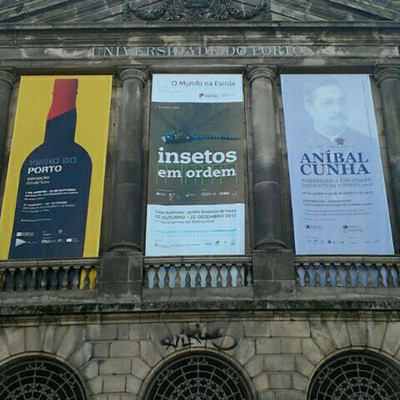 It was in Viseu that we had more visitors, due to a big promotion effort on the part of the Museum of Quartzo team. Santarém, Porto and Évora had similar numbers, with more than one hundred visitors per day. The itinerancy represented a unique chance to take science to an unusual audience. 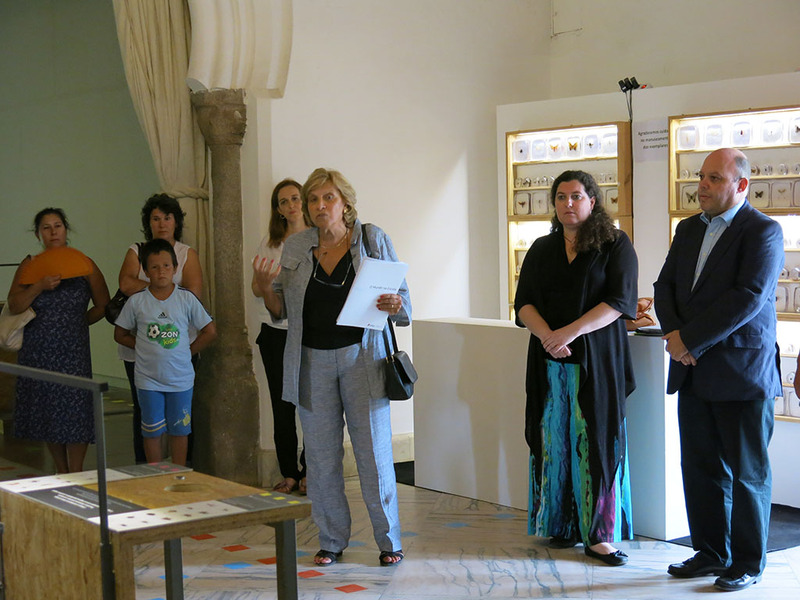 It was also an excellent opportunity to get to know our country better and to reach a vast diversity of public, since kindergarten to elder people and students with special educational needs. The chance to know better the country and its sociocultural differences was a big advantage to the entire team.